DAPA: A Source of Rights or Mere Reprieve? In the mind of the public U.S. v. Texas is about the constitutional power of the president to affect a change in the nation’s immigration system in the absence of congressional participation. But as an administrative case, one of the core questions concerns the power of the relevant agency, Department of Homeland Security, to confer legal benefits or obligations to undocumented aliens without observing the notice-and-comment procedures prescribed by §553 if the Administrative Procedure Act. The case arises from a challenge brought by 26 States to the program known as Deferred Action for Parents of Americans (DAPA). The State’s raise substantive and procedural challenges under the Administrative Procedure Act (APA) and a constitutional challenge under the “Take Care” Clause. Finding that the States were likely to succeed on the merits of their challenge, the Southern District of Texas granted an injunction enjoining the implementation of DAPA nationwide. The decision was affirmed on appeal to the Fifth Circuit. This post focuses on the States’ contention that DAPA is susceptible to challenge because it confers concrete benefits on the class of covered persons. While DAPA clearly has practical consequences for the persons covered, consequences that are no doubt salutary to that group, the benefits resulting appear to be a collateral consequence of DAPA. The consequence of such a finding by the Court would weaken respondents procedural APA claims, but the benefits issue may still allow respondents to successfully challenge DAPA on the merits. The government maintains that DAPA amounts to no more than a wholesale level declination to prosecute a group of people in the U.S. illegally. Texas and its fellow respondent States argue that DAPA in fact confers rights and benefits on the class of people covered in part because the government has chosen to countenance the legal presence of persons covered even if this does not amount to full legal status. Even if one accepts the assertions that the agency retains discretion in each individual instance of deferred status, the sheer scale of this measure, predicted to cover roughly four million persons, is not your run-of-the-mill exercise of prosecutorial discretion. This decision is plainly about more than conserving agency resources; it is about making new resources available to those persons covered by DAPA. The government maintains that this will amount to an unalloyed benefit to all States, while the respondent Texas complains of the costs of subsidized driver’s licenses for freshly legally residents. As each side is advocating for its cause, both blanket assertions of harm or good should be treated with some skepticism. One reason the question of whether DAPA itself confers any benefits is important is because the government asserts that DAPA amounts to no more than a guidance document. Agency guidance, by definition, does not confer legal rights or obligations, but merely advises interested parties of an agency’s current interpretation of a statute that it is charged with administering. The respondent States argue that granting benefits exceeds any tenable interpretation and is effectively a new agency rule which, at a minimum, would require DAPA to be submitted to notice and comment. The government rejoinder is that DAPA itself confers no rights or benefits, and that the benefits to covered persons arise as a collateral, rather than a direct, consequence of DAPA. The executive’s authority to grant benefits like those conferred under DAPA is actually grounded in longstanding regulations that were themselves subject to notice and comment. The government is caught in the seeming paradox of trying to enable persons covered by DAPA to be self-sufficient while not having that executive action be the direct source of any substantive benefit. The government claims that notice and comment need not be observed because DAPA itself creates no substantive entitlement. Rather any collateral benefits accruing flow from the 1981 regulations. If DAPA itself confers no substantive benefit, then it may plausibly be argued that it amounts to more than an internal matter of agency guidance exempt from notice-and-comment. As for the 1981 regulations actually operating to confer benefits on those now lawfully present, there is no requirement that duly enacted regulations be subjected to a second round of notice and comment. Intuitively, this is problematic. Benefits seem to result from the executive action because covered individuals are no longer barred from public programs, but because the action enables rather than confers benefits, it is immunized from challenge on that level. While the argument is convincing that DAPA itself is a source only of temporary lawful presence, that very argument gives the respondents an alternate route of attack. Respondents argue that by invoking the 1981 regulations to confer benefits on four million aliens, the administration has exceeded the bounds of its discretion. This is where the intuitions regarding the sheer scale of DAPA could gain some legal traction. Presidents have historically used executive actions to grant groups of persons relief from deportation. However, these prior exercises always involved narrower groups of persons than those at issue here, typically refugees and asylum seekers, and the scale of the relief was considerably smaller than that granted by DAPA. The prior narrowly tailored (comparatively) executive actions are the types of relief which Congress likely had in mind, and they are certainly the ones to which Congress has given a sort of ex-post assent. It can plausibly be argued then that granting legal presence to nearly four million previously unlawfully present persons was outside of Congress’s intentions. Standing alone, this argument still does not require duly enacted regulations to undergo notice and comment a second time. What must follow from the intuition regarding the scale of DAPA is that the expanded application of these benefits is such a profound change that it effectively amounts to a new rule. There is some support for this intuition. 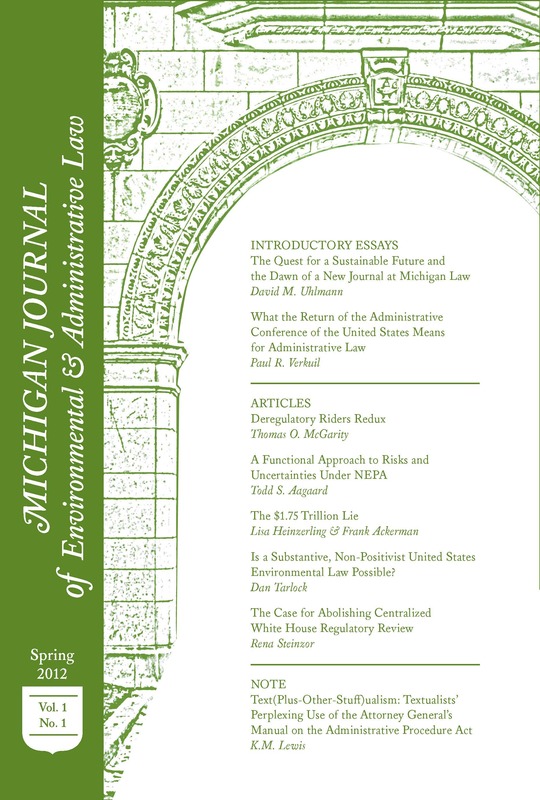 “The practical question inherent in the distinction between legislative and interpretive regulations is whether the new rule effects a substantive regulatory changeto the statutory or regulatory regime.” Thus, where an agency drastically changes the specificity of its statutory interpretation, the D.C. Circuit has been more willing to consider this new agency understanding a substantive legislative rule subject to notice and comment. Alternatively, the Court may take a view that the DHS interpretation of the Immigration and Nationality Act supporting a grant of access to benefits for up to four million persons is an unreasonable interpretation, and thus invalidate it under the second step of the Chevron inquiry. The Fifth Circuit relied in part on this rationale in upholding the injunction. Surprise at the breadth of DAPA does not alone justify any legal conclusions, but the assertion that such a substantial policy may be implemented by unilateral executive action will certainly make the Supreme Court less deferential when inquiring whether this amounts merely to a matter of internal agency procedure or whether something more substantive has been accomplished. Texas v. U.S., 86 F. Supp. 3d 591, 614 (S.D. Tex. 2015). Texas v. U.S., 809 F.3d 134, 148 – 149 (5th Cir. 2015), cert. granted, 136 S.Ct. 906 (No. 15–764). action is an ‘act of administrative convenience to the government which gives some cases lower priority’ by deferring removal of an alien for a temporary period.”) (quoting 8 C.F.R. 274a.12(c)(14).). Brief for the Respondents at 8 – 9, U.S. v. Texas, 136 S.Ct. 906 (No. 15–674). Brief for the Appellants at 58 (“by enabling aliens to obtain work authorization, the Guidance furthers Congress’s objectives of ensuring that aliens earn their way, pay taxes, and do not burden the public fisc.”). Texas, 809 F.3d at 155. Pacific Gas & Elec. Co. v. Fed. Power Comm’n, 506 F.2d 33, 38 (D.C. Cir. 1974). Id. at 27 (“DHS retains unrestricted discretion to seek removal at any time of an alien who has been accorded deferred action.”). Id. at 57 (“It is that long established regulation, not the 2014 Guidance, that permits aliens accorded deferred action to apply for employment authorization. That regulation went through an extended process of notice and public comment before its adoption, in conformity with the APA.”). See generally Vermont Yankee Nuclear Power Corp. v. Natural Resources Defense Council, Inc., 435 U.S. 519 (1978). Texas, 809 F.3d at 148 – 149 (“the grant of lawful presence removes the categorical bar and thereby makes otherwise ineligible persons eligible to qualify.”). Brief for the Respondents at 34, U.S. v. Texas, 136 S.Ct. 906 (No. 15–674) (“In any event, if the regulation did mean what petitioners believe it does, it would conflict with the statutory framework that Congress has imposed. After the current regulation was enacted in 1987, Congress has repeatedly authorized the Executive to provide work permits only to specific, narrow categories of aliens, including certain deferred-action recipients.”). Electronic Privacy Info Center v. U.S. Dep’t of Homeland Security, 653 F.3d 1, 7 – 8 (D.C. Cir. 2011) (internal quotations omitted). See generally Chevron, U.S.A., Inc. v. Nat. Res. Def. Council, Inc., 467 U.S. 837 (1984). See Texas, 809 F.3d at 178 – 182. Prev Environmental conflicts: Addressing the collateral effects of climate change in developing countries.